If you have been on any news or social media sites today then you will most likely be aware of the story of Martha Payne and her blog NeverSeconds. Martha is a 9 year old girl who set up a blog that details her school lunch each day, ranking the food on such factors as mouthfuls taken to eat, health rating and a rather unpleasant count of the number of hairs found in a dish. To let everyone see for themselves, Martha also took a picture of the day’s lunch. The blog has proven quite the success with more than two million hits in the space of a few weeks. As well as blogging Martha has been helping to raise money for the charity Mary’s Meals who supply “one daily meal in a place of learning” in some of the world’s poorest communities. So far it’s a nice story of a little girl with a pleasant blog that’s performing quite well and doing her part to raise money for charity. But this is where the story takes a surprising turn, with the intervention of Argyll and Bute Council raining on the little girl’s parade. Apparently, the press coverage that the blog had garnered had led to the catering staff becoming fearful for their jobs because of Martha’s ‘scathing’ food-o-metre reviews. This led to the council stepping in and banning the school girl from taking any more pictures of the school’s food. Boo them! But wait! Today, news of the ban has spread throughout news and social media sites, with pucker TV chef Jamie Oliver tweeting “Stay strong Martha, RT this to show your support #neverseconds”. This new found publicity that has come about because of the ban has led to plenty of media coverage which has certainly had a great impact on Martha’s JustGiving charity page. As of last night the total was around the £2,000 mark, which itself is a very impressive feat, but the outrage the ban caused has led to the general public visiting the site to donate and show their support, with the total donations standing at £22,734.50 at the time of writing. Yay them! But wait once again! Whilst half way through the writing of this very blog post the story has taken another turn of events with the ban now being lifted by the Council. 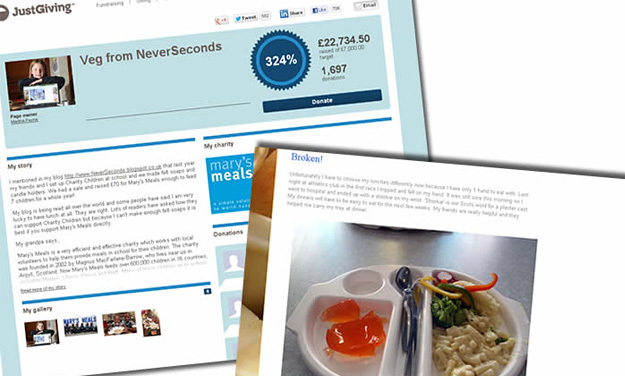 So not only has a huge amount of money been raised for charity but a school girl can go on taking pictures of her lunch. This story really highlights the power a simple blog can have if it can find an audience. Knowing your audience is a key part to any marketing strategy, whether it’s an online, offline or social media campaign. 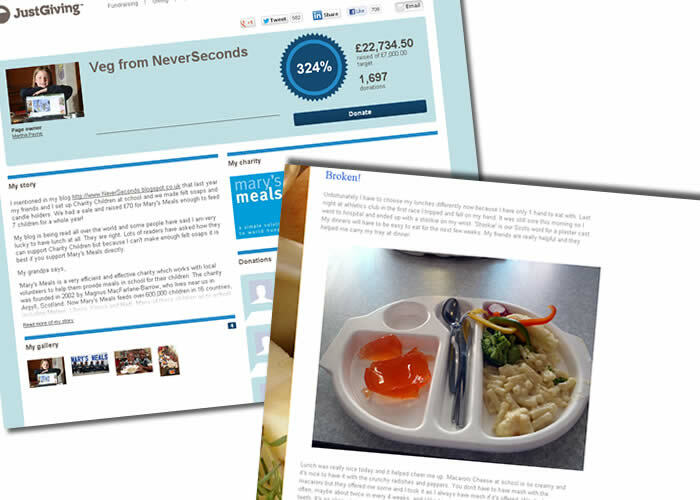 Martha’s blog hit a note with a variety of people all over the world, from other school children posting photos of their lunches to campaigners for healthy living for kids and the short ban has only led to greater publicity for her blog. Of course the cynical side of us could say that this was all set up from the very start to raise money for a charity, but we’ll leave that for you to discuss.